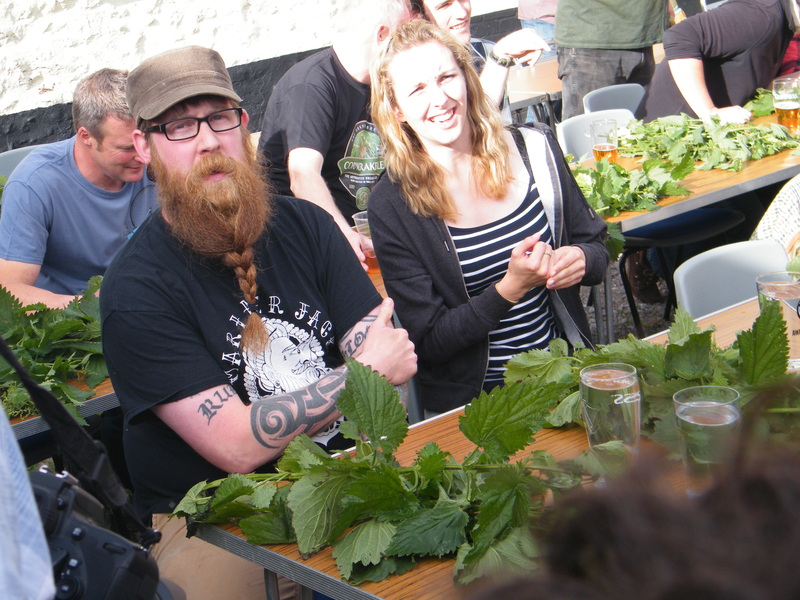 The World Nettle Eating Championship; an internationally renowned Olympic event? Or perhaps something we might see at the Commonwealth Games alongside other such debilitating sport including boxing? 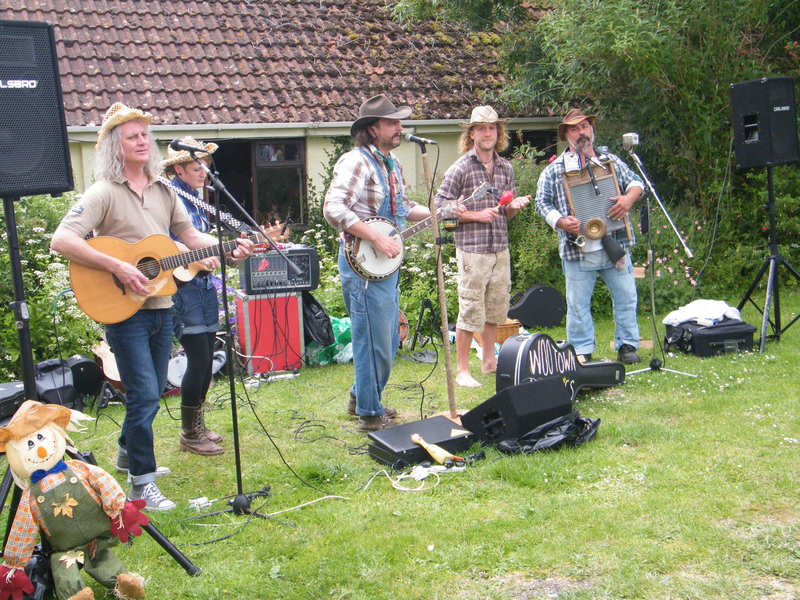 Or might you witness this spectacle in the small sleepy Dorset village of Marshwood that nestles serenely between the ancient hill forts and picturesque Jurassic coastal towns? 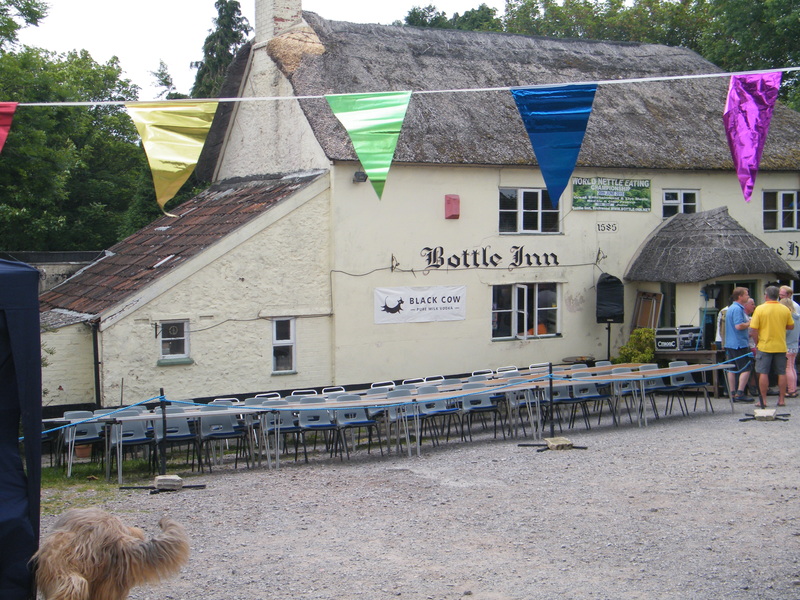 Coinciding with the Summer Solstice and Fathers’ Day, this bizarre tournament held at The Bottle Inn, Marshwood has become something of a magnet to the thrill seekers and spectators who revel in their demise. There was one lady who wore a pair of white underpants over her jeans and there was something written on the front, but I didn’t feel entirely comfortable looking at her crotch long enough to read whatever it said! 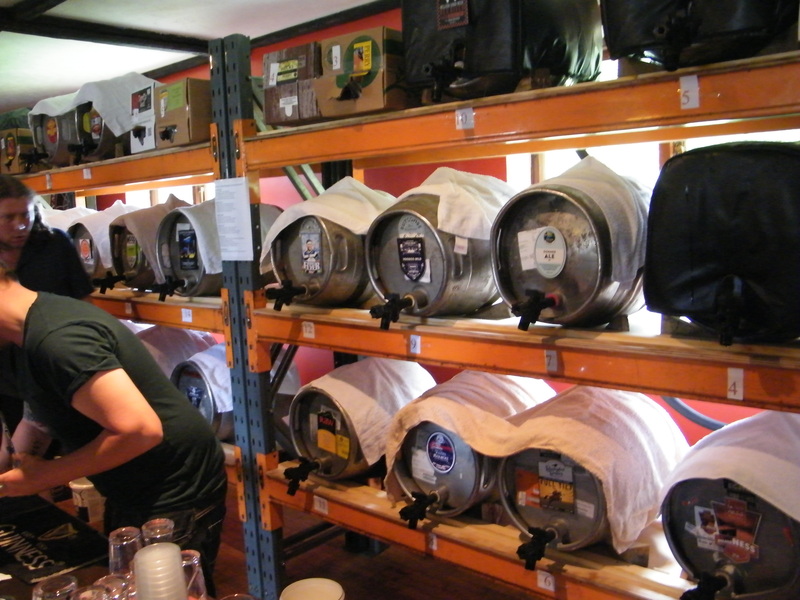 The Bottle was also holding an ale & cider weekend and there was an assortment of artisan beverages to enjoy; a great opportunity to promote regional brews including Devil’s Rest, Orchard Pig and Purbeck Cider. By 6pm the audience was gathering near the tables and soon afterwards the contestants arrived, not, it has to be said, with a massive amount of enthusiasm. The compere called for a few more victims volunteers until virtually all the tables were taken. Their advice is to pace yourself and if you run out of nettles, they will supply you with a new brace and if your mouth becomes parched, drink some water (or beer). If you have a leaf that has bird poo on, you need to get agreement from the organisers that the leaf can be discarded! And then it began with each contestant using their own method to strip the stalks of the green hairy stinging leaves; some just grabbed it with both hands, other used an elbow to hold the stalk whilst carefully peeling the leaf away and others nipped at them. Apparently there is a knack to keeping the sting to the minimum; you fold the leaf before popping it in your mouth! I spoke to Andy Teague’s partner who told me this was his first time and he had practiced with a couple of leaves the previous day. When asked ‘why?’ she said he just got the bug (of which there is clearly no cure!) 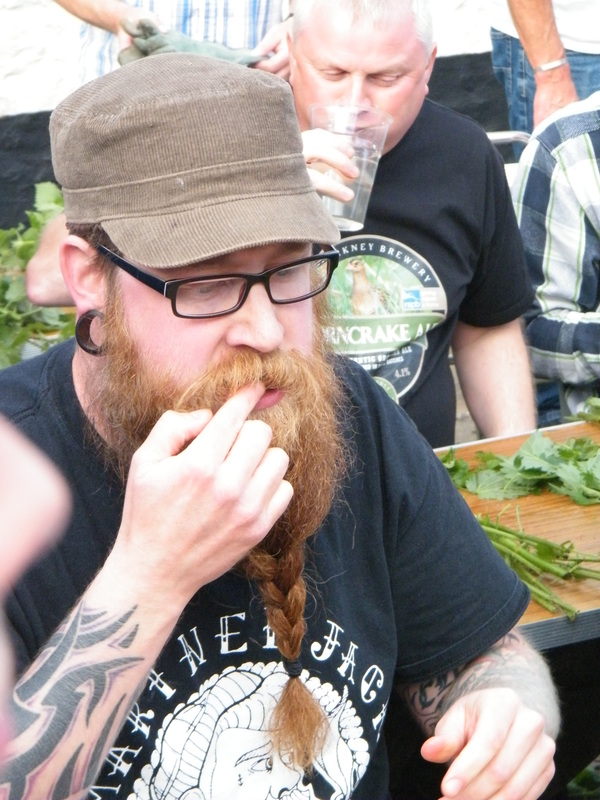 I also found out that Andy takes part in (and has won) the British Beard and Moustache Championships for charity, and travels around the world including Austria, Germany and shortly Texas will be welcoming his hairy creations! The first to give up after 10 minutes was the woman sitting next to Andy then it was Frenchies turn, but it has to be said she managed to clean 6ft of stalks. By 6.40 someone had cleared 24 ft and mouths were beginning to turn a deadly shade of black by now. By 6.50 a male competitor had cleaned 46 ft and a female competitor 22ft. It was also around this time that a few more fell by the wayside and not surprisingly someone was sick, but not to be thwarted, and with the encouragement of the crowd, he continued! 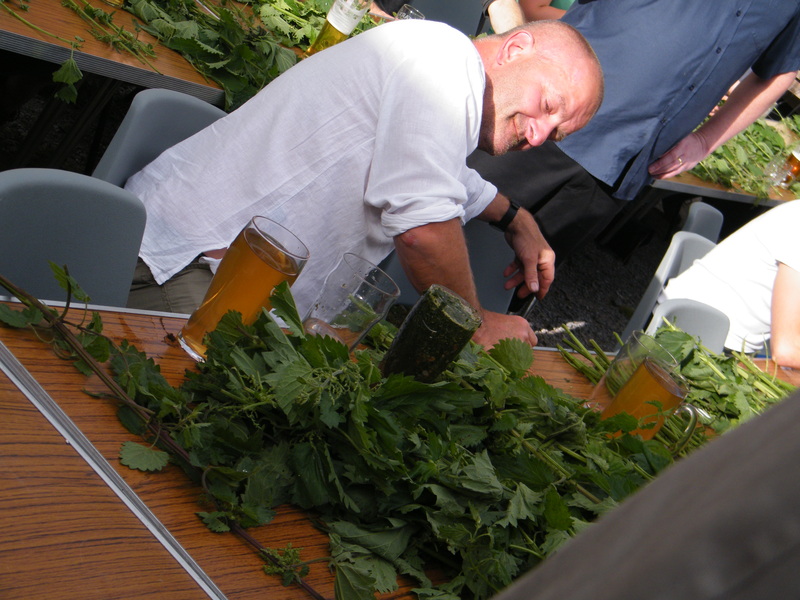 The competition concluded and the winners were announced; Pete Wellman from Axminster, who is something of an old hand at this particular craft (this is his 4th time and he has won 3 of those); was the male winner chewing through 96ft of nettles, beating the 2014 winner from Colyton who ate 80ft. 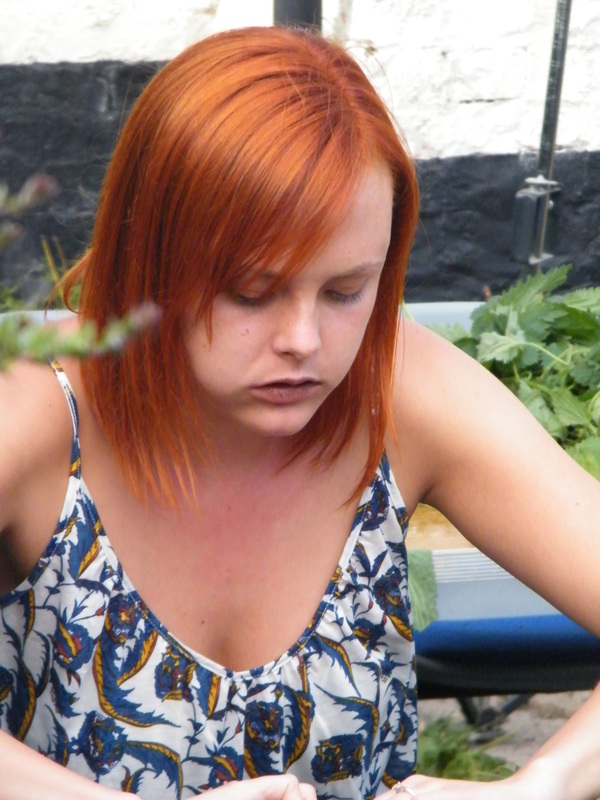 In the female category, the winner was Naomi Harris from Chard who munched through 58ft. But you know what? 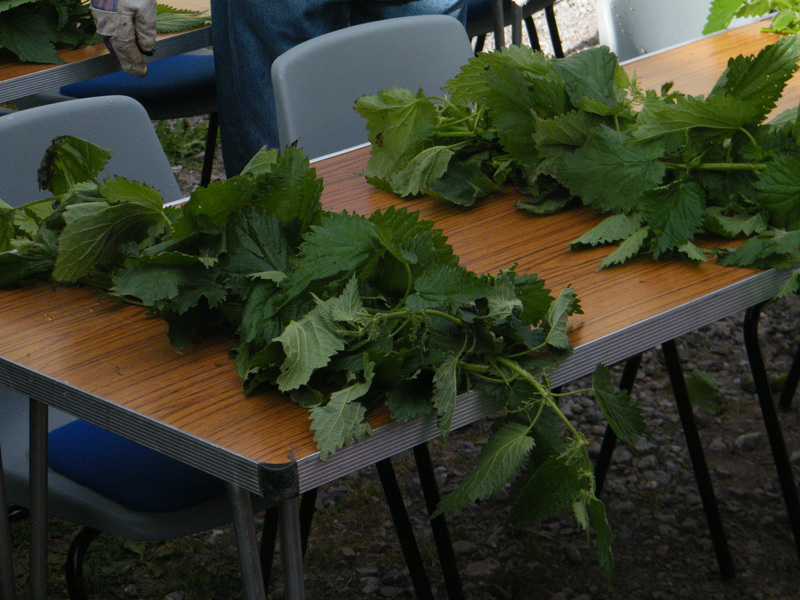 No matter how many or how few nettle leaves each of those people ate, they are all winners to me, winning the prize for being completely bonkers and individually determined to overcome a quite natural fear of urtica dioica or the common stinging nettle. 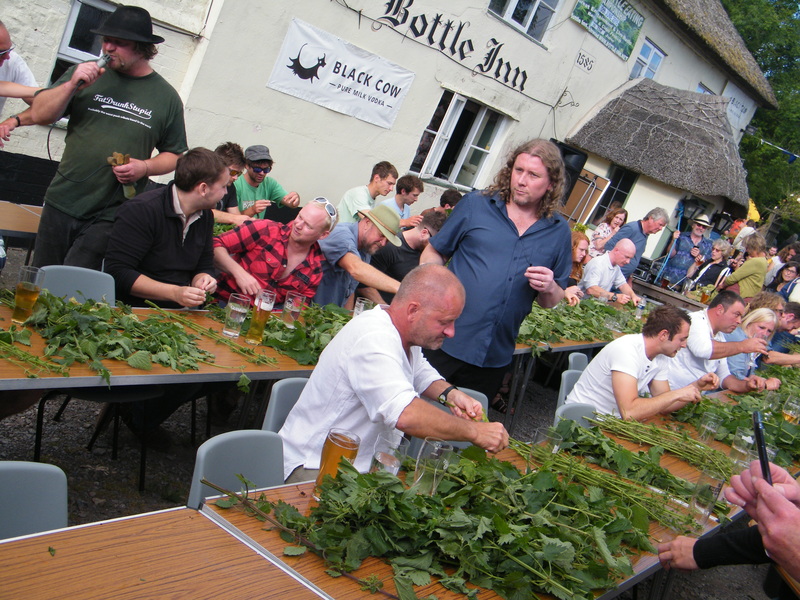 This entry was posted in Uncategorized and tagged Andy Teague, Bottle Inn, competition, Dorset, Marshwood, nettle eating, Orchard Pig, pub, Purbeck Cider, stinging nettle, Wootown Hillbillies, world nettle eating championship. Bookmark the permalink.